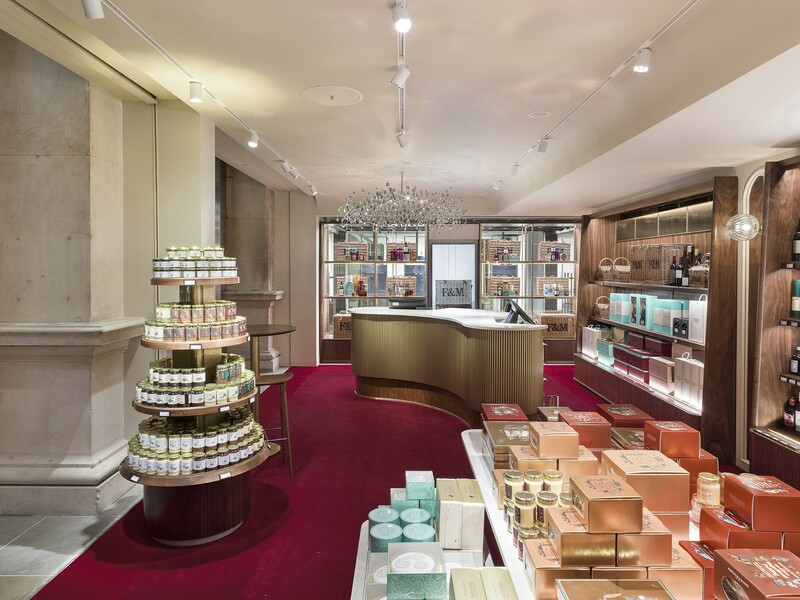 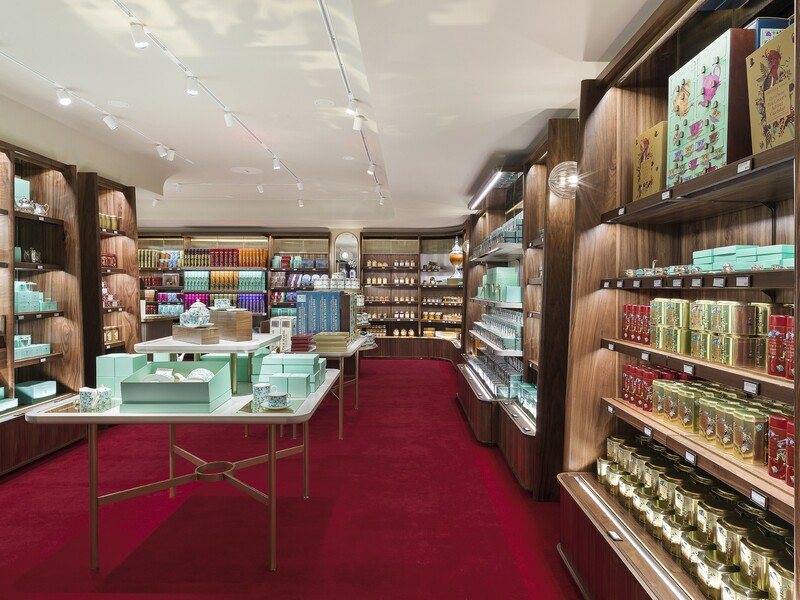 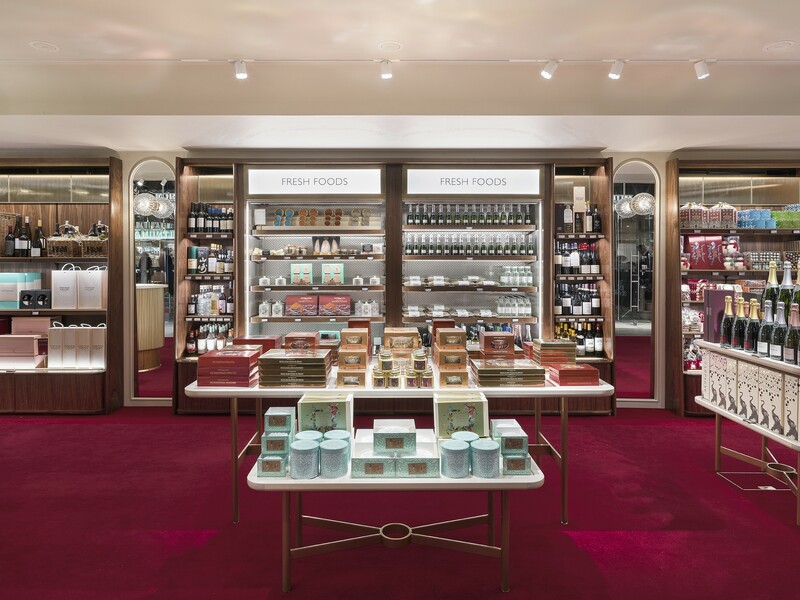 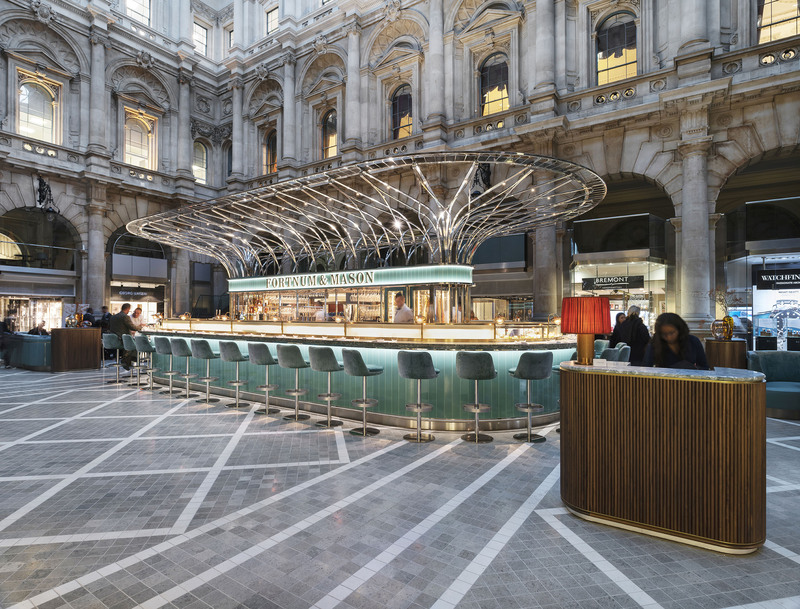 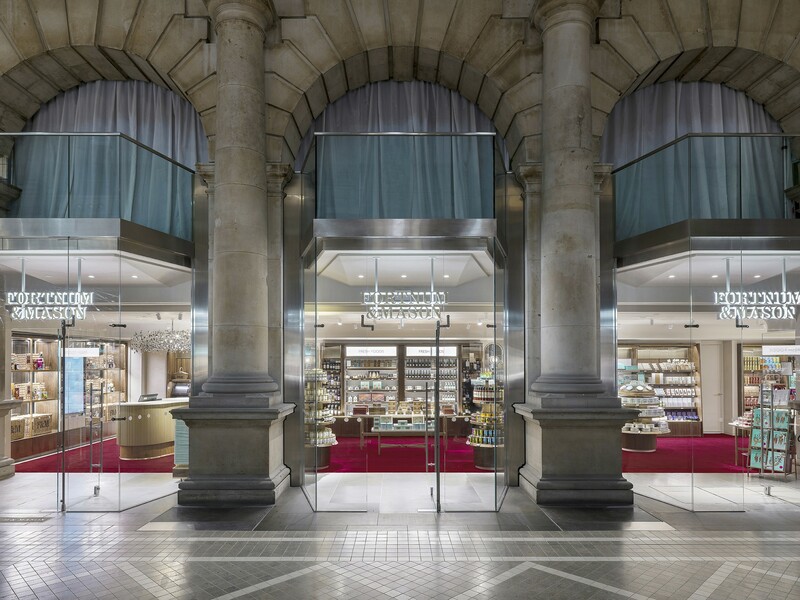 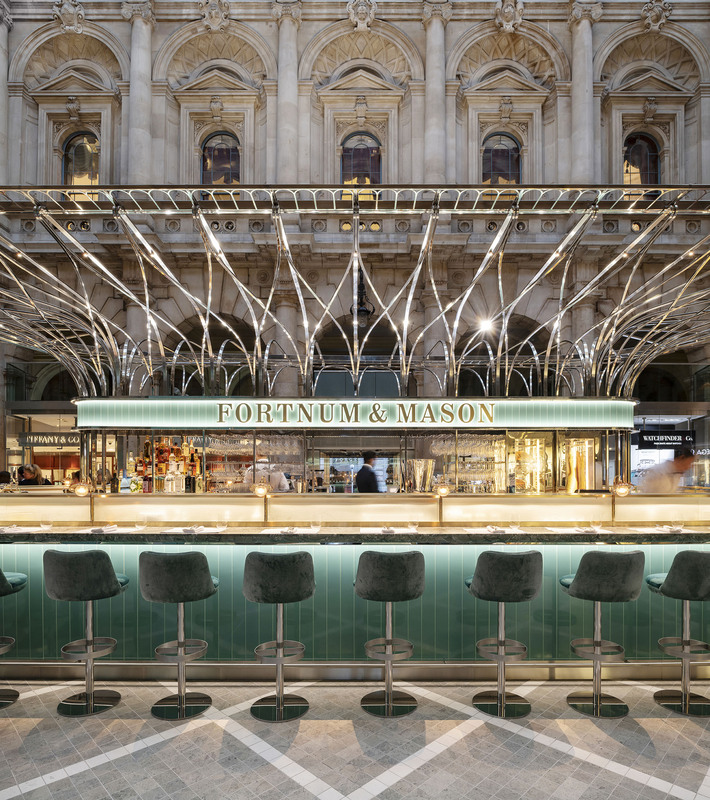 Universal’s design for Fortnum and Mason’s newest restaurant and shop at The Royal Exchange brings two London Icons together under one roof, creating a luxury landmark in the heart of the city. 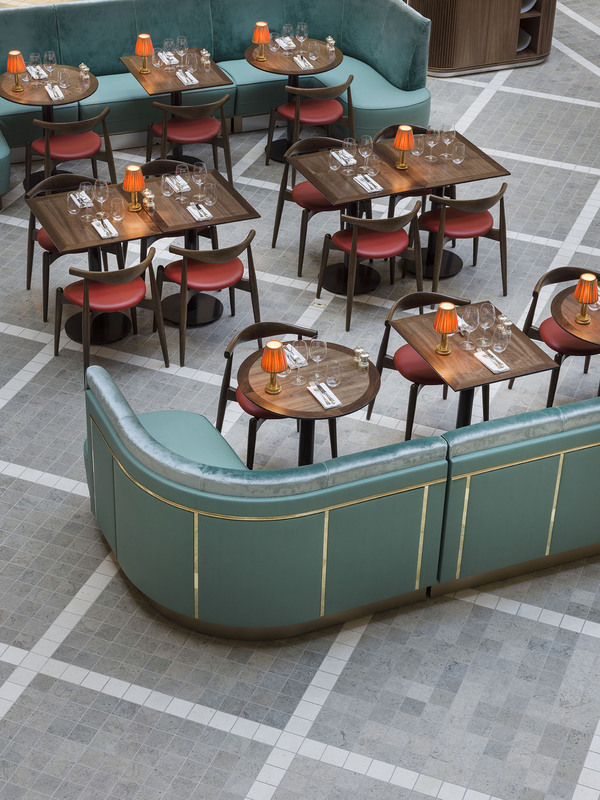 Fortnum’s bar and restaurant can seat up to 90 covers, allowing for both table and counter dining. 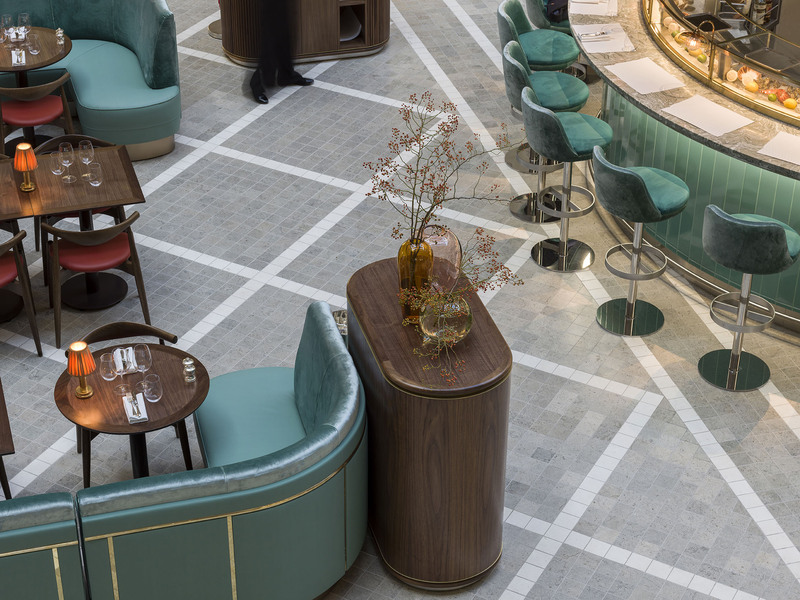 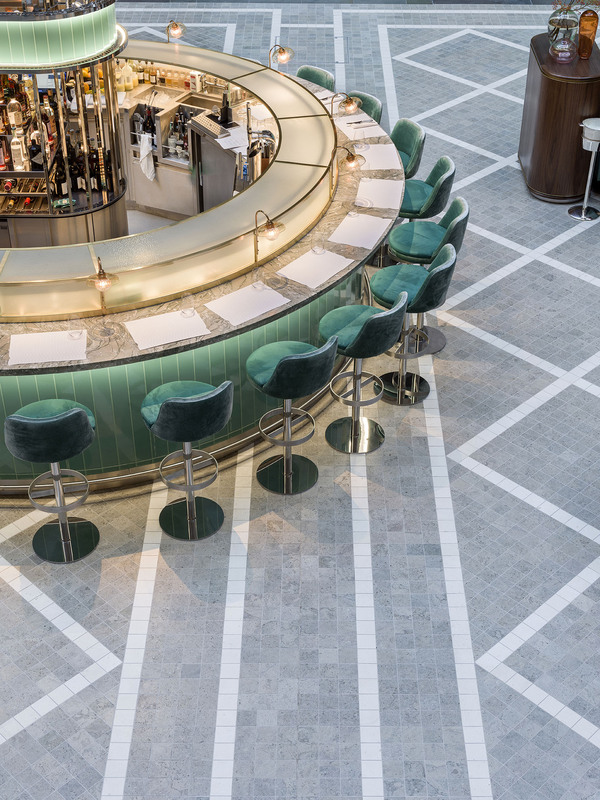 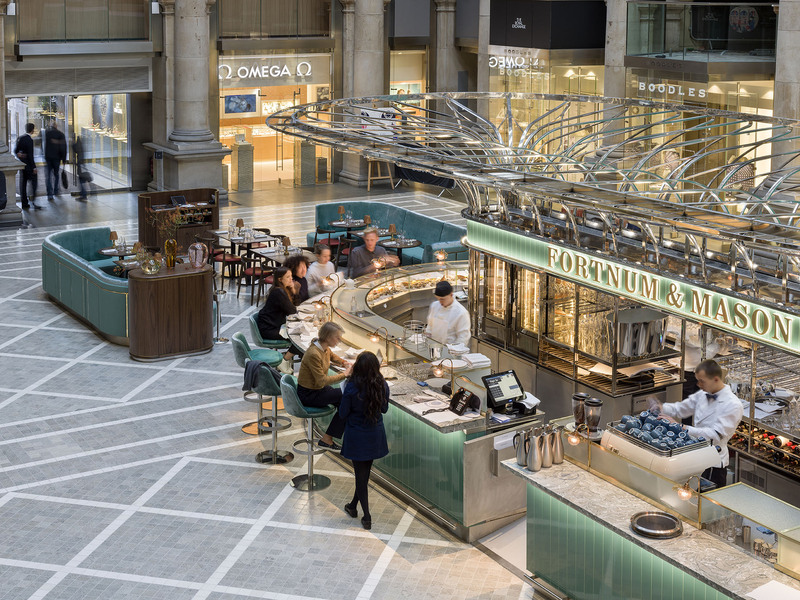 The central bar adopts the Fortnum & Mason quintessential aesthetic, with a warm, textured material palette to compliment the hues of The Royal Exchange’s dominant material; Portland stone. 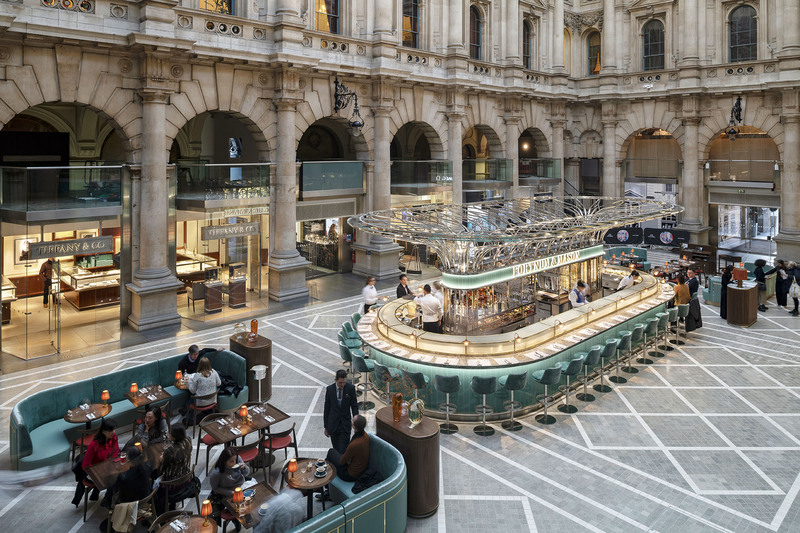 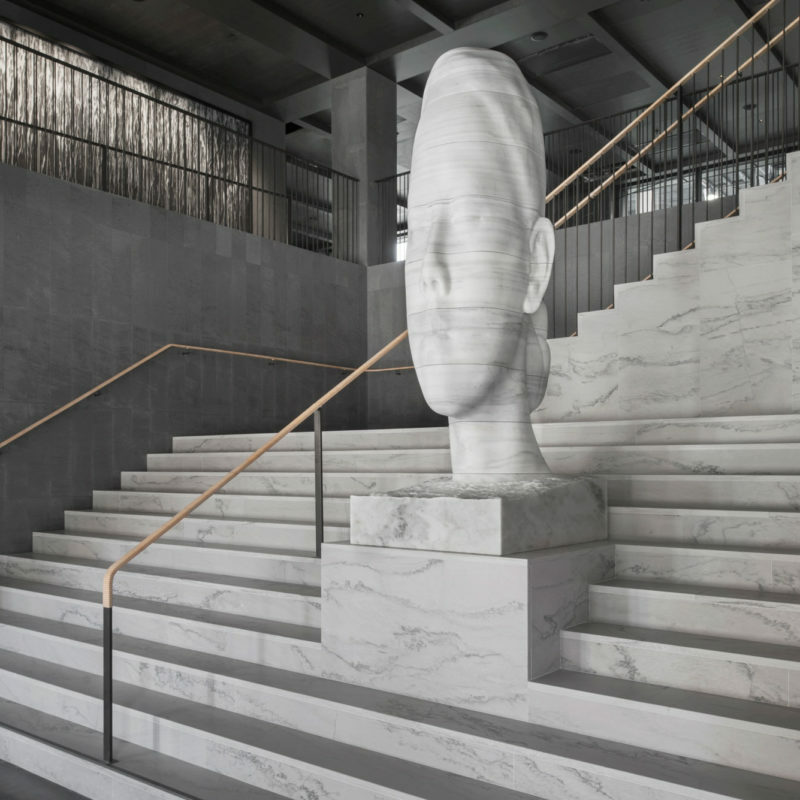 Respectful of the surrounding neoclassical architecture, the bar is proportioned to sit harmoniously within the vast internal atrium whilst creating a sense of intimacy at human scale. 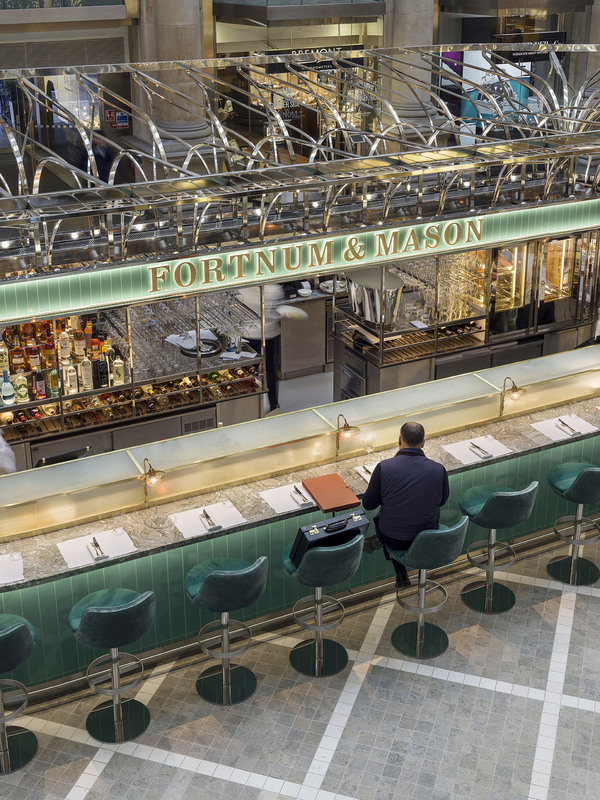 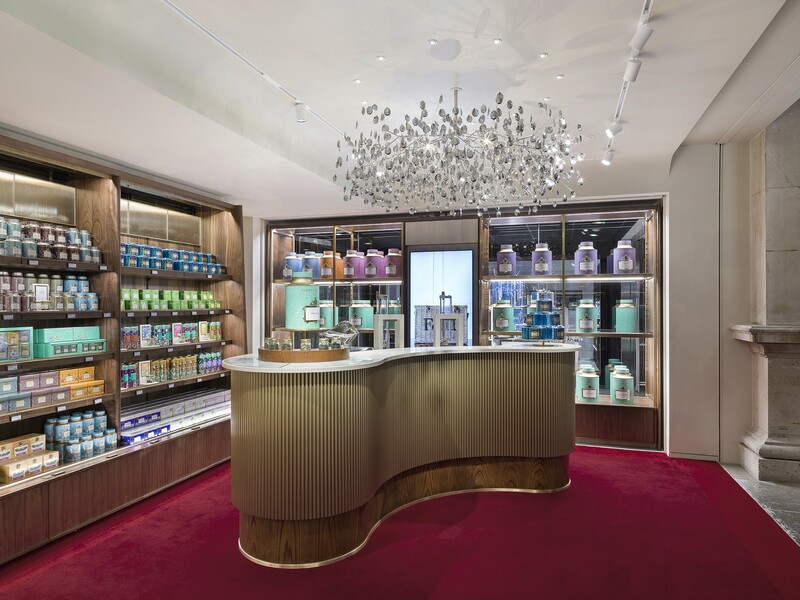 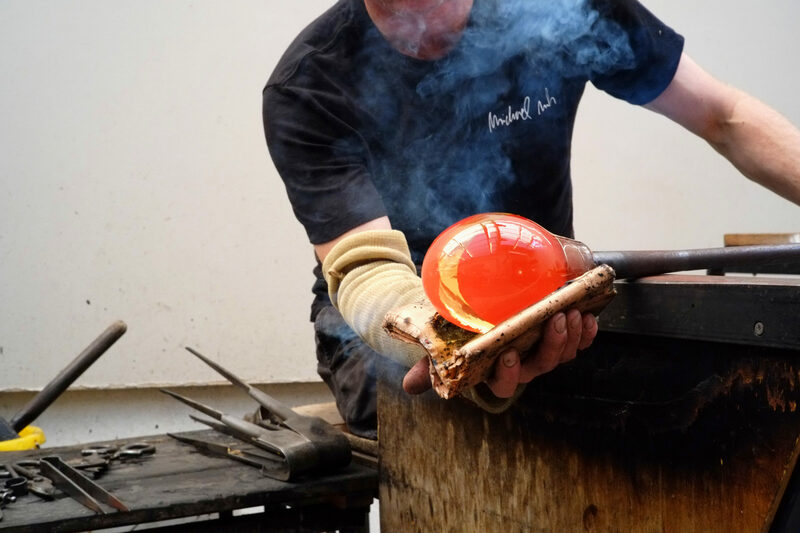 All of the metal work and hand-blown glass detail within the island counter is made in the South East of England, while the bespoke leather banquettes incorporate the iconic Fortnum & Mason ‘eau de nil’ colour palette. 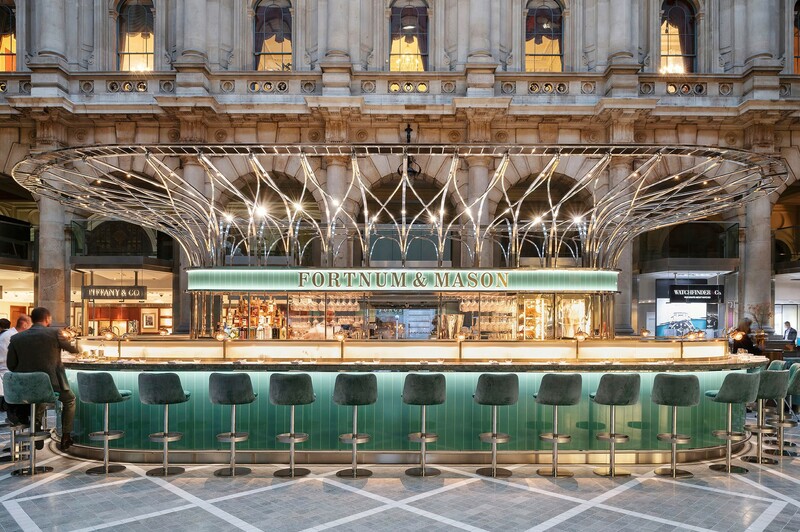 The opening marks Universal’s fourth hospitality design project with Fortnum & Mason in the UK, bringing luxury heritage and tradition to the iconic destination in the heart of the city.